They Touched the Face of God | "Granny Beads and Grocery Store Feet"
I was a freshman at Laurens District 55 High School on a bright, bitterly cold day in 1986. My third period class, just before lunch, was Honors English I with Dr. King. She told us anyone who wanted to could go get their lunches and bring them back to eat in her classroom. She’d gotten a TV from the library and had it all set up to watch the Space Shuttle Challenger carry a civilian — a TEACHER — into space. I remember the line I picked was more crowded than usual so I was later getting my lunch tray than some of my classmates. When I walked back into Dr. King’s classroom, all behind schedule, she was sitting at her desk with tears creeping down her cheeks and the handful of my friends who’d gotten there on time sat in stunned silence staring at the television set. I remember the room being quieter than the grave . . . more silent than I thought I would ever hear a high school classroom become in my life. Unfortunately, I was wrong on that count because 15 years later, I was the one weeping silently on a day in early September as my normally rowdy first block English II class sat in stony and complete silence watching another pair of explosions play over and over again on a much newer television. 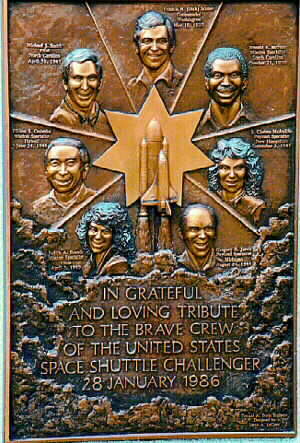 As a young teenager, I had no idea how to process the Challenger disaster. We didn’t know at the time, it would be later in the day when the crew cabin was located, that the entire crew was dead. I didn’t know what to do with such public death. To be honest, I hadn’t been exposed to much death at that age. All my grandparents were very much alive, as were a slew of beloved great-aunts and great-uncles and other extended family galore. I certainly couldn’t understand the magnitude of an event like this. I remember the rest of the day being subdued, which was always unusual in our public high school. I finished classes and wrestling practice then went Granny and Papa Wham’s house where a newfangled television network called CNN played footage of the explosion over and over. The three of us ate supper and both Granny and Papa talked about other times such a huge event had happened in their lives like the bombing of Pearl Harbor or the day FDR died. On the ride to Fountain Inn earlier in the afternoon, Mama told me she remembered exactly where she was (the gym at Gray Court Owings School) and what she was doing (playing four square) when the principal announced JFK had been assassinated. In the thirty years since that fateful January moment as a freshman in high school, I’ve been witness to other monumentally historic events. I lay in the floor, again at Granny and Papa’s, and watched the Berlin Wall fall. I saw the horrific events of 9-11-2001. 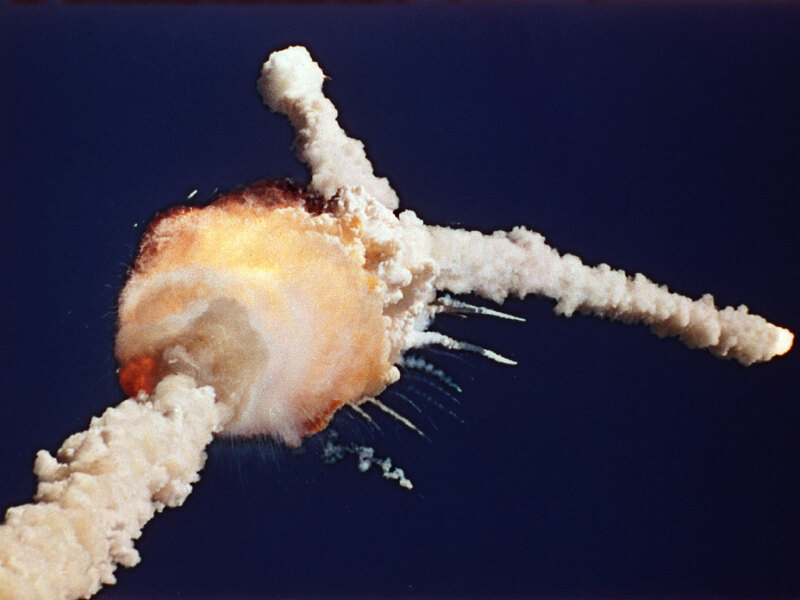 Worse, I sat with eerie feelings of deja vu in 2003 watching the coverage of the Columbia shuttle disaster, but nothing hit me quite as hard as watching Challenger explode on tv seemingly thousands of times. I guess because it happened when I was young enough to still believe the world was a bright and good place and the shock of seeing that it wasn’t stuck with me the longest. So, help me remember those seven brave men and women now thirty years gone and also remember I love y’all, and keep those feet clean.